Cadent has unveiled its Cadent Advanced TV Platform, enabling national ad buyers and TV networks to achieve a higher level of efficiency and effectiveness in addressable TV advertising. 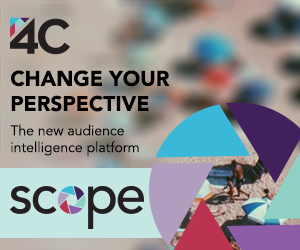 In a briefing, Cadent’s Chief Product Officer Eoin Townsend and Chief Marketing Officer Paul Alfieri emphasized that today’s national TV ad buyers are looking to shift to data-centric approaches that enable customized, targeted audience segments at scale. This is what Cadent Advanced TV Platform is built to deliver. Cadent Advanced TV Platform can access 70 million addressable homes (i.e. those with set-top boxes that are individually identifiable and enabled) with ads across cable, broadcast and OTT content. The new platform has integrated all the elements required to make a scaled, targeted buy - choosing specific pay-TV/OTT providers, number of homes, relevant data sources, KPIs, budgets and more and melded them into a cohesive workflow that will feel familiar to most people who have bought digital advertising. Once the parameters are set the platform presents different campaign options to the buyer.